The world’s blockchain market is expected to expand to more than $60,000,000,000 by the year 2024 as more and more companies embrace blockchain technology. The concept is still in the early stage and is under global exploration and adaptation. Furthermore, a large number of businesses worldwide are striving hard to address market issues through utilization of the advantages that this technology delivers. It can be seen in any market field these days. As we can see today, most of the list of crypto companies contains Ether and Bitcoin. However, this list is not updated and a lot of people knew it already. There are more projects out there that are exciting and relevant other than the two. This article will provide the latest list. Blockchain industry is now becoming popular because of the tokenized financial systems, designers, support providers and businessmen who use these distributed ledgers. Allow me to share ten new companies which majorly use blockchain technology. It is a market exchange that is entirely decentralized and transparent. Also, it is distinct since it is based on mine and profit-share system that will give back more than eighty percent of it to the community. Zhang Jian, the Huobi ex-CTO established this China-based company. It was released in May this year and got substantial media coverage for a significant upward trend in quantity at more than $17 billion every day. It is now formally circulating in the market and is looking forward to surpassing some of the top crypto\ exchanges on earth. It aims at revolutionizing the process data is being kept and protected over the net. It redefines how subtle digital information is handled. It has isolated and encrypted HSM vault that allows digital keys and crypto assets to be available online through non-IP activated mechanism if needed. Its advancement enables a person or companies to shelter assets (digital) in physically internet-disconnected storage until the user wants to connect it. It is the first ever blockchain based on content. It provides (IAM) Identity and Access Management at the infrastructure level. It will change the media industry as well as digital content by giving users the whole control on content design, storage, and access. It offers platforms that will help media creators to build a better and more efficient distribution and revenue from the content. It can even fix the growing problems regarding music piracy. All its chief team members are from powerful institutions like Harvard and MIT, and partners such as Roark Fund, TRON, FBG Capital, Consensus Capital, Kim’s Capital, D Fund, Block VC and Crypto Capital. It is the unit of exchange on ADBIT Media Marketplace which could be accessed through the use of ADBIT token by buyer, seller, and agency. It will create a transactional economy for everyone. It focuses on solving the issues that media planning and buying faces nowadays. Those problems are workflow management, transparency, monitoring, and reconciliation. It also helps on platforms for the traditional media assets such as radio, TV, print, etc. ADBIT and CIINCH were both designed to support the automation of multiple layered manual processes. The latter has recently plagued the entire industry. Another company to watch for this year is Buddy. It is an application store that uses blockchain technology to function efficiently. It is a marketplace for any developers created by great developers themselves. It aims at becoming the backbone where skilled programmers can create a world-changing off-chain app and service through blockchain technology. It has rich integrations with all types of ecosystem. Some of its channel partners are Amazon, Google Cloud, Rollbar, New Relic, DataDog, Digital Ocean, Rackspace, Heroku, Shopify, Sentry and many more. This is a marketplace found online and is supported by Silicon Valley project capital. It lets gamers transact digital goods. At the moment, it has 3,000,000+ members. FLP token is used in transacting digital goods on the marketplace. Moreover, it leverages the interface of ERC-20 token and the use of Ethereum blockchain. Its structure and smart contract will remove trust issues and will protect transacting gamer against frauds. Publishers and developers of games will receive (SDKs) software development kits and open sourced plug-in from Gameflip. It is the banking on blockchain. It has platforms for lending and borrowing that permit any users to get up to five percent interest on their asset while having loans at nine percent interest rate with cryptocurrency as their collateral. The objective is to take the next 100,000,000 people into the world of crypto. It develops trustable, light and fast B2B payment blockchain network for global transactions. Its ICO is one of the top performing projects this year. It released the first B2B token of the world which opens corporate demands for cryptocurrency marketing and sales. It is one of the top blockchain companies in Japan. It is presently creating an influencer marketing platform that will remove social media or content’s incompetency. It has a tactical partnership and solid board of advisors with several leaders and blockchain experts. It provides developers with the vital constructing blocks for a decentralized application. It is a robust framework that offers tools needed to build blocks with the usual web application speed. It has 3 technologies proposed- database network, Proof of reputation algorithm and desktop native app. Participants are user, content node and seller. It enhances dApps user experiences. It is a creation that may improve and help any companies these days. It is a tool that will bring individuals or organizations to the highest level of success. It assures the validity of all transactions while eliminating system errors and malfunctions. Records are saved securely and protectively. Also, it will build trust in the company and the user. Business will have a lesser risk and chances of failure. Aside from that, cost and expenses are reduced. The transactions are tested as fast and accurate. Indeed, it is a smart investment, especially for business. Every transaction under blockchain technology is permanently recorded. Blocks have timestamps and hash which are used to ensure precise recording. Also, every ledger has a unique key that is undoubtedly secure and difficult to hack. It is only the trusted party which can stamp or write the records. Blockchain can be either public or private. The first kind allows transaction viewing and sending in the blocks. Private blockchain is its opposite for it provides limitations and restrictions on the system. It has an automatic self- check and self-audit processes which will ensure transparency. With this, anyone can watch how the network grows. Businesses that use this type of technology can assure an incorruptible and durable process. This is how blockchain technology works. Since day one of creation, it has met all the expectations of the users. Experts believe that after a decade, almost all businesses will adopt it. More companies will rely on this innovation, and more people will see the importance of using blockchain. 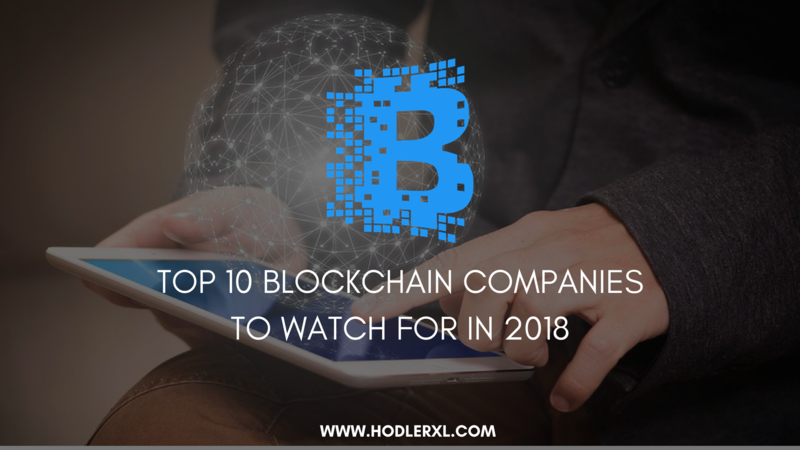 Aside from the top ten companies mentioned above, there are a lot of projects out there that believe in the power of blockchain technology. More projects are yet to come!